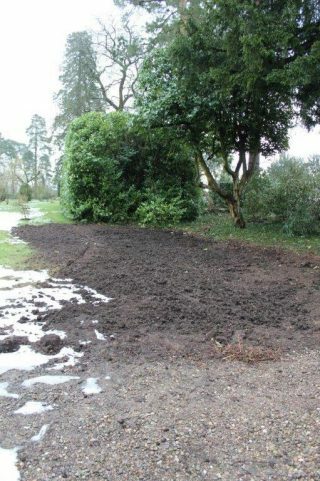 A congested and sprawling remnant from previous garden eras, a row of philadelphus shrubs formed an unattractive hedge between the car park area and the New Garden. 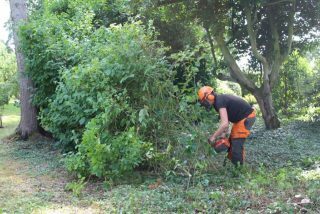 The plants were completely overgrown and rarely flowered, despite diligent pruning, which is why Harry saw there was no other choice but to coppice them last summer. 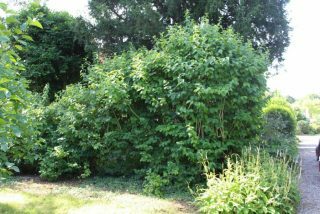 We hoped that the plants would regrow and thus rejuvenate the hedge. The philadelphus, however, did not oblige. 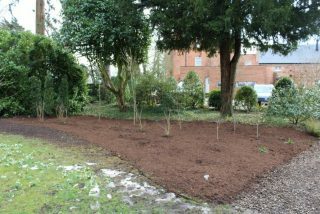 We therefore decided to take this as an opportunity to redesign the area this spring. 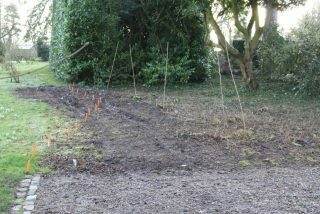 Both across the drive and in the adjacent New Garden, there are lilac groves. 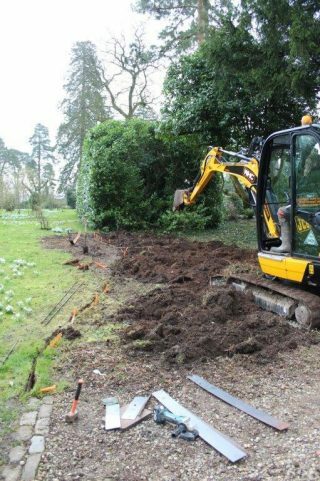 We therefore felt that we should replant the space in the same theme, using four different varieties of lilac, persicarias, rosa nitida kebu, lathyrus vernus, summer snowflakes and omphaloides. 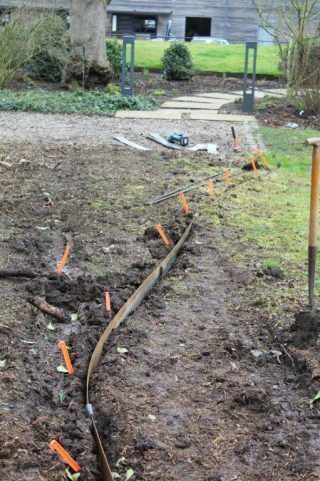 Before we could plant, the border needed to be shaped and the soil prepared. 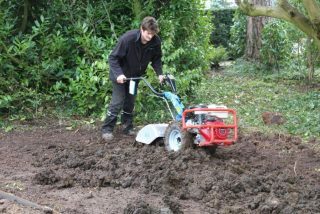 This included digging up the philadelphus roots and rotovating the soil. 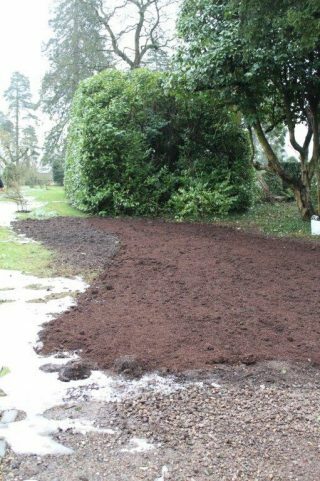 Before planting, a layer of composted bark was applied for moisture retention and weed suppression. 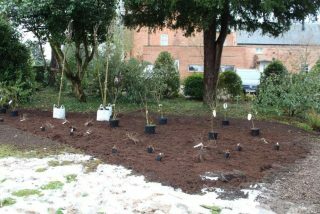 Next, the plants were set out and planted.